Kaiv Foot Care Set (3in1) is a multipurpose and economical pedicure kit. It has a Foot Scrubber, nail clipper and toe separator. 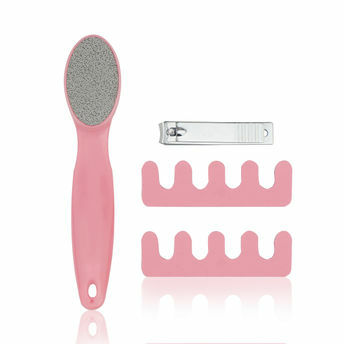 The Foot Scrubber features a high quality emery metal to rub your heels for extra soft skin.